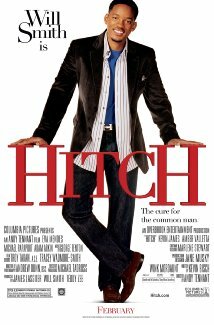 Hitch (Will Smith) is a Date Doctor, manipulating women into relationships with men, and he refuses to help a guy who only wants a one night stand with a nice girl. Only, he’s a romantic, so it’s supposedly not as creepy as that sounds. Sara (Eva Mendes) is a gossip columnist, but she’s got a heart of gold, and only exposes the nasty happenings in the life of superstar Allegra (Amber Valletta) to give her a better life. In Sara’s mind. Hitch meets Sara and they start an ongoing flirt. Meanwhile, Hitch is setting Albert (Kevin James), an overweight boring accountant with Allegra. It’s a pretty standard romantic comedy. Some fun times, some humour, a lot of flaws and some seriously questionable attitudes toward the women involved. I wanted to like it a lot more than I did because I like so many of the cast, but I just found it just average.